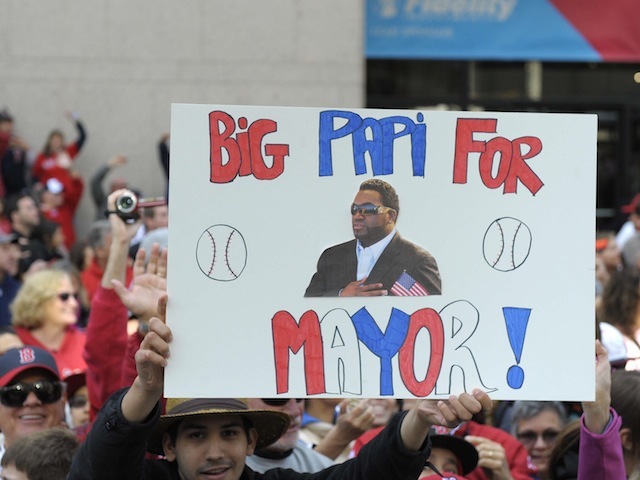 Back in 2013 Mayor elections in Boston, it has been reported that a baseball player from the DR has taken 3rd place. Apparently, he had the most write-ins then anyone else. When you think about it, its kind of crazy that a guy like Ortiz would be able to get 3rd without even trying. Imagine if he actually decided he was going to make a full out run? I’d vote for him. I mean even with his accent, he is still more understandable the Menino.